Home › Electronics › Iphone 7 Case Maxboost [Vibrance Series] Protective Slider Style Cases For Ap..
[Compatible with iPhone 7 2016] Simple, elegant, functional, the Vibrance Series iPhone 7 case features a refined design, vibrant colors, and lasting protection. 360 PROTECTION - including 4-side protection, covered corners and a raised edge to protect the screen for your iPhone 7. PERFECT FIT - Specially designed for iPhone 7, the Vibrance Series case has precise cutouts for speakers, charging ports, audio ports and buttons. 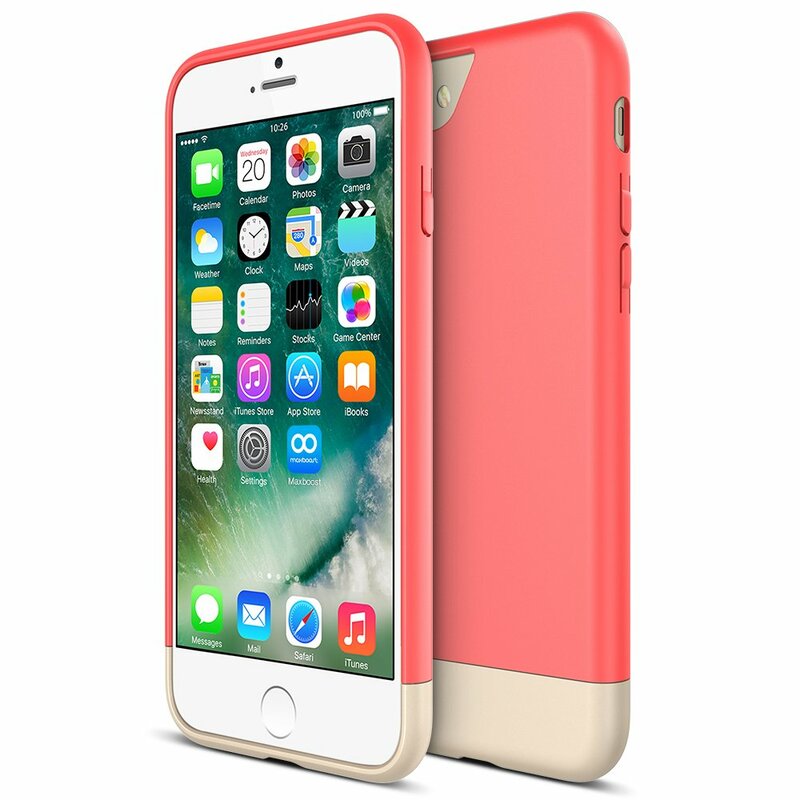 Color: Italian Rose/Champagne Gold Classy Elegant Style Simple, elegant, functional, the Vibrance Series iPhone 7 cases features arefined design, vibrant colors, and lasting protection. Comprehensive Protection 360Â° PROTECTION - including 4-side protection, covered corners and a raisededge to protect the screen for your iPhone 7. Perfect Cut-out PERFECT FIT - Specially designed for iPhone 7, the Vibrance Series has precisecutouts for speakers, charging ports, audio ports and buttons. Fabric Interior Layer SOFT INTERIOR - The soft fabric interior is made to prevent scratches andtears on your iPhone 7 from day to day. Lifetime Hassle-Free Warranty LIFETIME CASE WARRANTY - from Maxboost to ensure the maximum protection forthe life of your iPhone 7 Case.